In a nutshell: The BlackBerry Classic combines a physical keyboard with the power of the BB10 touchscreen operating system. 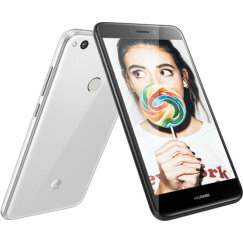 It allows limited Android apps too, and is a very competent business smartphone. 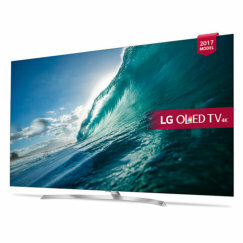 But the small screen and dated processor won't make it a good choice for multimedia fans. It's been nearly 4 years since BlackBerry released the Bold 9900. Since then we've had BB10, but nothing to match the success of the Bold series. Now BlackBerry is heading back to the future - resurrecting the Bold concept, with the best that BB10 has to offer. Say hello to the BlackBerry Classic! The BlackBerry Classic is a much larger phone than the Bold series. And that's a good thing, because in 2015 we're all completely happy with big phones, and the increased size allows for a slightly bigger keyboard and a much bigger screen. The phone is wider than an iPhone 6, but not as long, making it feel quite chunky and purposeful. With a depth of 10mm, it's quite a thick phone, and it's really heavy too, at 178g. The device feels rock solid and premium, with a stainless steel outer frame and the attention to detail that we remember well from BlackBerry's past. In addition to ringtones and vibration alert, there's also a user-configurable LED alert. A range of dedicated leather pockets and holsters complement the device perfectly. The full QWERTY backlit keyboard isn't curved like the Bolds of old, but is straight, like the Q10. In practice that isn't a problem, and the Classic keyboard has the advantage over the Q10 of including the trackpad and an extra layer of navigation keys. This will be a reassuring touch for any Bold user considering upgrading to the Classic. The keyboard is superb, and if texting, emailing, or other text-based activities are central to your phone use, you'll very quickly appreciate the power of the physical keyboard. The word prediction & correction features and the various shortcuts available make the Classic perhaps the fastest and most effective phone on the market for typing - second only to the BlackBerry Passport. The Classic has a much larger screen than earlier BlackBerry phones. It's square, and measures 3.5" by 3.5". That's 60% more screen space than the Bold 9900, and it's very welcome indeed. The square format isn't ideal for watching videos or playing games - get over it, that's not what it's for - but is ideal for other apps, when you consider that on a touchscreen phone the bottom half of the screen is often taken up by a virtual keyboard. 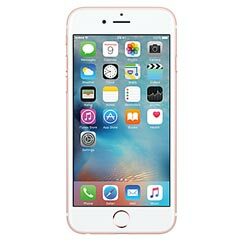 The 720 x 720 pixel resolution isn't far off the iPhone 6, with a 294 ppi pixel density, compared with 326 ppi on a Retina HD display. It's very bright too, so there are no problems with visibility. It's a great screen, and the size and aspect ratio are ideal for this type of phone. The BlackBerry Classic marries the touchscreen-based BB10 operating system with a physical keyboard, and restores an optical trackpad and an extra layer of navigation keys that were missing from the BlackBerry Q10. These keys are the familiar send / end call keys, the menu key and the back key. Their return is a welcome move, and a smart one on the part of BlackBerry. Not only do they restore familiarity, but they acknowledge that not everything about BB10 was an improvement. One of the key components of BB10 is the hub. 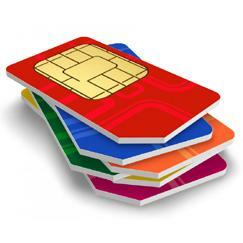 Here you can access email, text, BBM, phone calls, and social media. The OS supports full multi-tasking, with split screen views. You can easily swipe between applications, although after a while it can become a bit confusing what's actually running. The new BlackBerry Assistant is a personal assistant activated by voice and text commands. You can use this to place calls, search, send messages, etc. 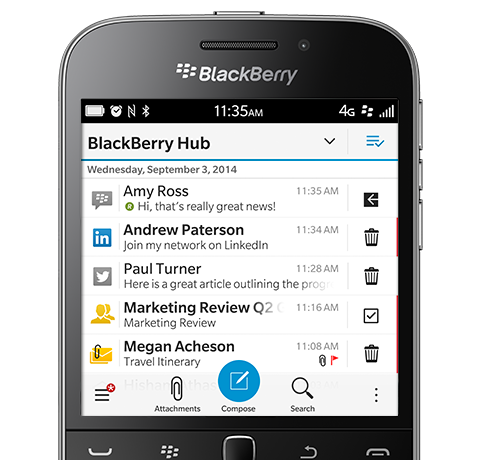 BlackBerry World gives you access to a range of business and communication apps such as WhatsApp, Skype, LinkedIn, etc. You can also download popular Android apps from the Amazon Appstore. This is not the full range of Android apps, but includes many of the most popular apps and games. Security is up to the usual BlackBerry standards, with device password protection and a screen lock. The Classic isn't intended as a multimedia powerhouse. It uses the Qualcomm Snapdragon S4 processor, which is a dual-core 1.5GHz processor and nearly three years old now. In practice, it's adequate for the job that it's been assigned to do and will only show signs of lag if you start installing games from the Amazon Appstore. The available RAM is 2GB, which is a lot more than the old Bold series, and there's 16GB of flash memory onboard. This can be increased substantially by adding up to 128GB more with a microSD memory card. Voice quality is particularly good, as you'd expect from a business-oriented device. There are 3 microphones supporting noise cancellation. Having a high-quality camera in a smartphone is perhaps more important now than ever, even in a business-focussed phone like the BlackBerry. We're pleased to report that the camera in the Classic doesn't let us down. The main camera has an 8 megapixel sensor with backside illumination (BSI) for low-light performance. It's equipped with image stabilisation and continuous autofocus, and has a flash and 5x digital zoom. Photo quality is excellent, although it perhaps lacks the finesse of some rival smartphones. Video performance is also good, and the main camera is capable of recording at full 1080p HD resolution, with video stabilisation and effective low-light performance. The front-facing camera is a 2 megapixel fixed-focus camera - OK for selfies - and can handle 720p HD video for Skype calls and BBM video. The Classic includes most of the connectivity options you'd expect from a modern smartphone. It's a 4G phone with support for LTE bands 1, 2, 3, 5, 7, 8 and 20. It also supports 3G HSPA+ and quad-band GSM. 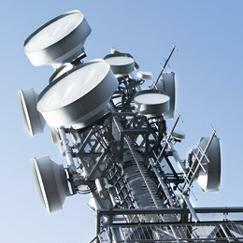 The phone has Wi-Fi support (both 802.11 bgn 2.4GHz and 802.11 an 5GHz standards) and can act as a 4G mobile hotspot. It also has Bluetooth 4.0 and support for simultaneous GPS and GLONASS location. It has a micro USB 2.0 connection, although interestingly it supports video output by the SlimPort standard, instead of the more familiar MHL. NFC is also here. The biggest shortcoming of the Bold 9900 was its under-sized battery. We're glad to see that the battery of the Classic is twice as large. Rated at 2515 mAh, it might still seem small in comparison to Android phones, but it performs well enough, delivering 11+ hours of continuous use. To be honest, we would have preferred an even larger battery, especially when you consider the hefty size and weight of the device. The BlackBerry Classic is the result of a complex evolutionary process. It keeps the best of the old-school BlackBerry Bold series, with its physical QWERTY keyboard, and brings in the power and functionality of the BB10 operating system. All that is good. The screen size is compromised as a result of the physical keyboard, but in practice we don't find that to be a problem at all. What does give us some concern is the physical size and weight of the device. Also, while the battery size is much larger than on older BlackBerry phones, we'd still like it to be bigger. And we do have concerns about the dated processor and small onboard memory. The Classic is a step up for those Bold users who didn't want to jump to the Q10, and is also a useful upgrade for those who did. It may even tempt back a few who switched to Android, thanks to its ability to run some Android apps. But if you're thinking of returning to BlackBerry, we'd recommend that you seriously consider the ground-breaking BlackBerry Passport instead, which is a truly spectacular device. OK so I posted a second review on my Blackberry passport (The best device ever made). The reason why I'm posting a second review on the Classic is because some kind soul thought my life would be much better if I no longer had the use of my passport. After some choice words and a failed recovery and remote wipe I fired up my spare classic. I really thought it would be wrench after the loss of my passport........ I was wrong..... very wrong. I've had no trouble adjusting back at all. It's not very powerful but I didn't use my passport for media or games and classic in that regard is more then up to the job. I was harsh on it in my last review but the truth is as a pure business phone it's more then up to the job. Every task I did on my passport from all the main social media sites to Ebay to Email, phone calls and messaging and BBM have all performed with very little differance. It has 3 outstanding features. 1: The keyboard and all its short cuts. 2:Battery life is very good indeed. 3: Build quality is top notch.... remember this is a mid range device, so to have near top speck build quality is a great thing. If the classic is just used as what it was intended for then I really don't think you can go wrong. If I didn't already have a classic on standby, I would have bought a passport again. The truth is that the classic is more then up to the job, very well built, battery is great, still very fast on BB10 apps wich I mostly use and great one handed use. It's more then enough not to justify buying another passport as great as the passport is. 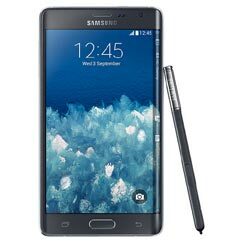 This is a very focused phone that I never really gave a chance in the beginning due to having a passport. Let's face facts..... it saved the day..... and did it well. It's not all about the specs. All all about how well your phone serves you. This is one area I will admit apple has got it right. What was that? "We heard you" (John Chen). No you didn't. Bold users beware. This is not the phone you have been waiting for. BB's Bold 9900 was the most practical smartphone for business users: clear design and smart navigation. A phone you could easily operate with one hand. That sits comfortably in your palm. That is fast and an extension of your hand and brain. The Classic is the exact opposite. The worst case scenario for everyone who hoped BlackBerry would indeed create a better Bold. The mess starts with the Hub, this awful BB10 feature that is designed to confuse, distract and eliminate shortcuts. Bold kept accounts apart, and that worked. The hub mixes everything; yes you can change the settings but the Hub remains to be a major setback. Try managing panels: not possible. The thick fat icons sit there and that's it. Next: scrolling with your thumb. Not possible thanks to one layer of on screen menu items that occupy the space between the touchpad and the content you are trying to scroll. As a result you will inadvertently close the screen every time you try. So this is a two hands phone. The classic also seems unbalanced or top heavy, plus the cheap plastic backcover makes the phone slide off your palm. No firm grip like the Bold. The power cord needs to be plugged inb from the bottom not the side. Because of that I need to place the phone upside down when charging in my car. In short; a design mess, an empty promise and the last time I gave BlackBerry the benefit of doubt. I love this phone. I have a Nokia 1320 and a passport but I pre ordered this in December and received it on the 19th. I had 3 full weeks with it. Firstly this is a great business phone. Very premium in weight and build. It's as if the tool belt never left and I love using it. If your a bold user, you will feel right at home. BB10 works great with the tool belt and has been tweeked nice for the trackpad. It's super cool to have dedicated phone up/down keys. Screen is bright and vibrant and more then up to the job. It's great for one handed use and very nice to hold indeed. All in all this is the phone the Q10 should have been. For a mid range device for a business user this is just great..... BUT..... unlike the passport it does have some failings. 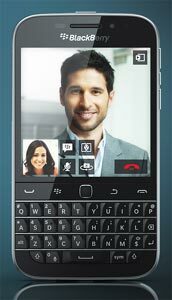 First is its based on the 2 year old Q10. That means that unless your using actual blackberry apps it can struggle to run the android ones via its built in emulator. That leads it to the fact that it's not very future proof compared to the passport. It means that it's really aimed at diehards and people who only want to stay in the blackberry world and just use it as a communicator and productivity tool..... in short it's for pure business. The other problem is the passport can be had for not much more but all in all is so much more of phone. I love this phone for all the wrong reasons. It's not like it's really that much better then my Q10. It's just the screen and tool belt seperates it. I think if you need to retire your aging 9900 you should go and buy one as the passport would be a very huge leap. If your going from a Q10, maybe it's not worth it as they are largly the same phone. As a business tool it's just rock solid.... and that's all you need really day in day out.